This lipstick crayon contains Certified Organic Jojoba Seed Oils and Shea Butter to create a creamy, flawless application that nourishes your lips as well as giving you that pop of colour. I love the shade 'Dusty Pink'! 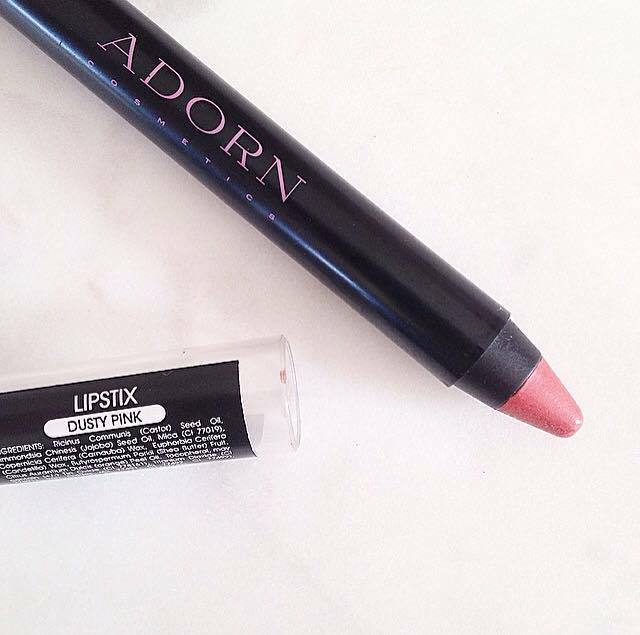 It gives such a great colour; the perfect your lips but better shade! It glides on so easily and lasts well; only needing reapplication after eating (normal for a natural lippie). I love lipstick crayons as I find them much easier to apply than regular lipsticks. I find this formula nice and moisturising and would highly recommend trying these Lipstix out. Full Ingredients: Simmondsia Chinensis (Jojoba) Seed Oil*, Mica (CI 77019), Ricinus Communis (Castor) Seed Oil*, Euphorbia Cerifera (Candelilla) Wax, Copernicia Cerifera (Carnauba) Wax, Tocopherol, may contain (+/-) Tin Oxide (CI 778161), Titanium Dioxide (CI 77891), Iron Oxides (CI 77491, CI 77492, CI 77499), Ultramarines (CI 77007), Pigment Violet (CI 77742) *Denotes a Certified Organic Ingredient. 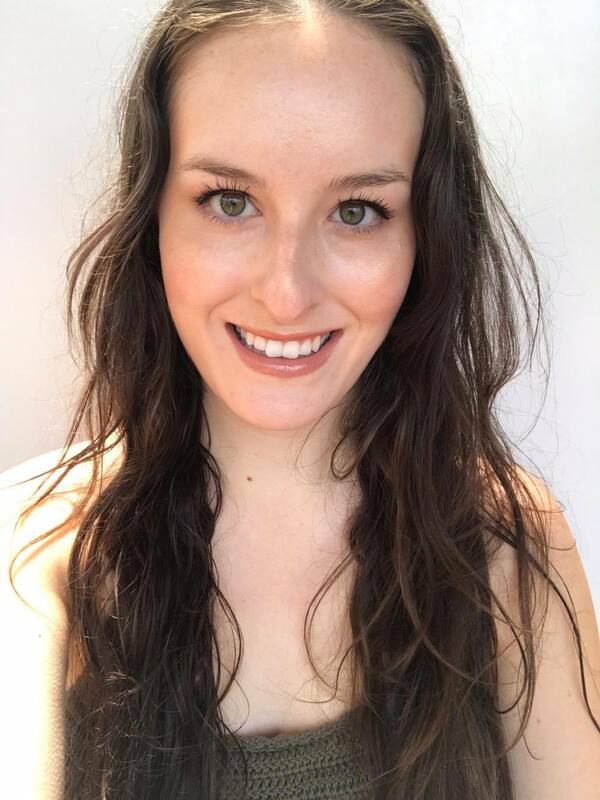 This is such a great alternative for those of you looking to replace your conventional makeup primers. This primer is formulated with jojoba oil, acai oil, mango butter and marshmallow extract. This is designed to be used after your moisturiser but before your foundation. 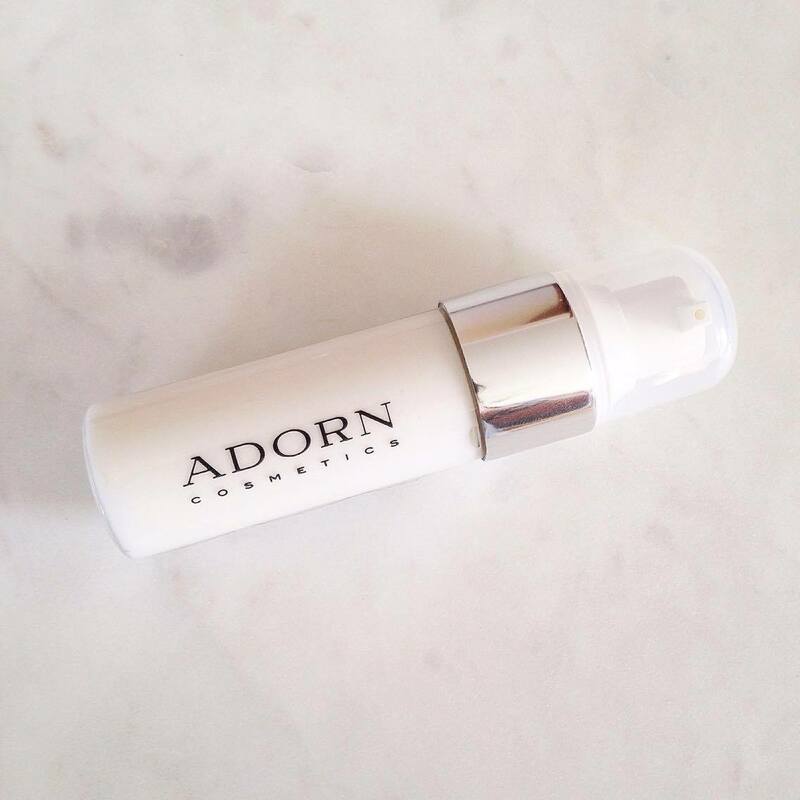 Oily skin types may find they don't need a moisturiser before this due to the primer's moisturising effects. This primer hydrates and plumps my skin, making my makeup application easier and more flawless. It reduces any flakiness I have and reduces fine lines that makeup could settle into. Full Ingredients: Aqua, Cocos Nucifera*, Simmondsia Chinensis (Jojoba) Seed Oil, Glyceryl Stearate Citrate (palm free), Glycerin (palm free), Cetearyl Olivate, Sorbitan Olivate, Acacia Senegal, Mangifera Indica (Mango Butter), Euterpe oleracea (Acai) Fruit Oil, Althaea Officinalis Extract (Marshmallow Extract), Hydrolysed Rice Bran, Carica papaya extract, Parfum (Vegetable preservative) *Organic. 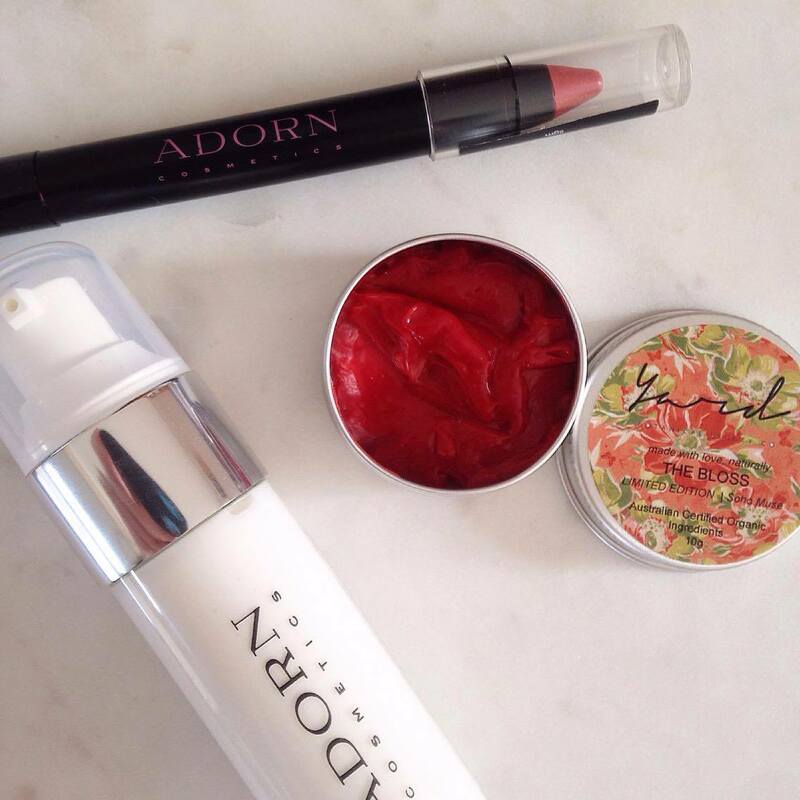 This creamy natural lip and cheek tint has been infused with pigments of carrot, pumpkin and lemon to create a beautifully nourishing coral tinted balm. This balm is the perfect daily go-to balm as it provides lips with much needed moisture while providing the sheerest layer of colour. 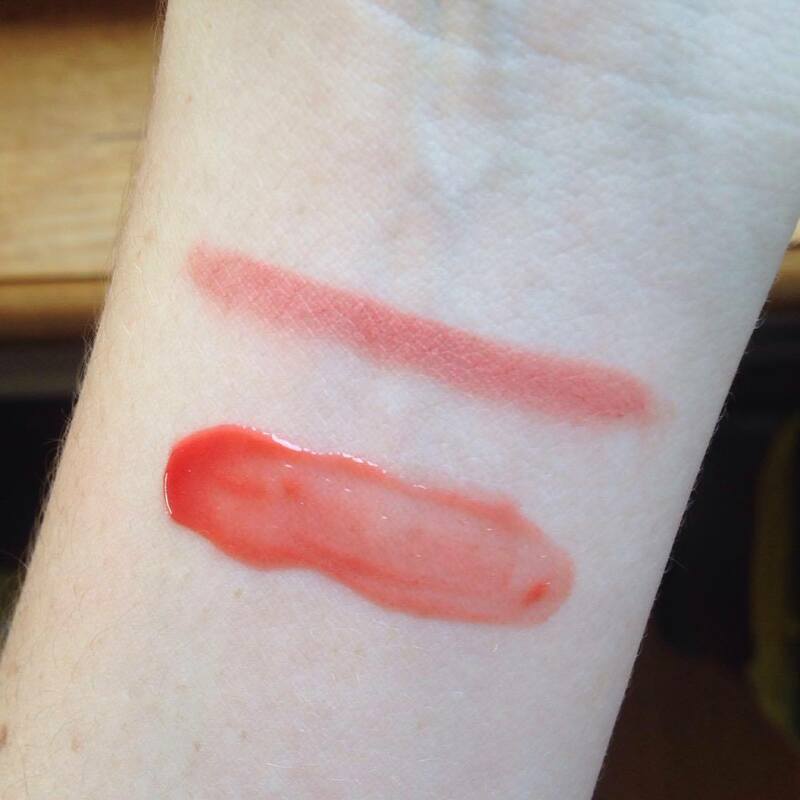 This balm appears quite pigmented in the pot, but applied to lips gives a hint of coral colour. This balm can also be used on the cheeks for a pop of colour. 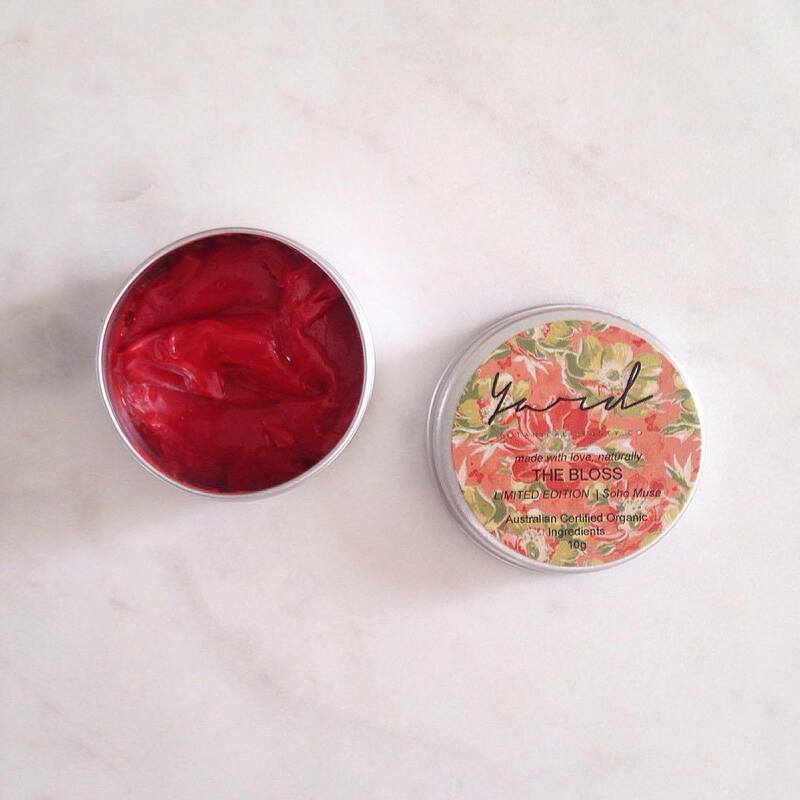 It has a peppermint scent, and gives lips a healthy shine. This balm is also very affordable and would be a great introduction for those new to makeup.